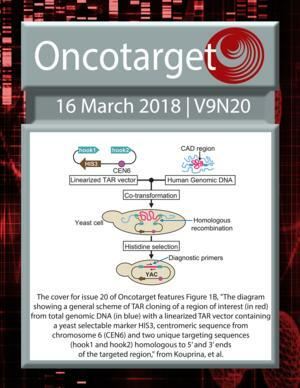 Oncotarget is a twice-weekly, peer-reviewed, open access biomedical journal covering research on all aspects of oncology and publishing sub-sections on topics beyond oncology, including Aging, Immunology and Microbiology, Autophagy, Pathology and Chromosomes among others. Oncotarget is published by Rapamycin Press, the publishing division of Impact Journals LLC. To learn more about Oncotarget, please visit http://www.oncotarget.com.